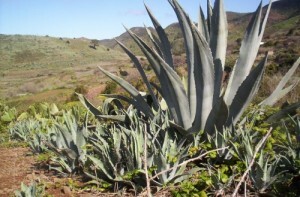 While most people are aware of aloe vera’s unique ability to relieve the burning sensation brought on by a sunburn, many are not aware of the vast amount of aloe vera natural hygiene benefits. This natural approach to natural hygiene can be purchased in a wide variety of different ways, including face and body soap, massage lotion, shampoo, lip balm and even sunscreen. The same properties that make aloe vera beneficial for sunburn sufferers are present in all of the aforementioned products. They are all moisturizing, thereby making them especially useful for those with dry skin, and they rinse off without leaving a heavy feeling oil reside behind. Each of these products is also gentle and works well for people who have sensitive skin. 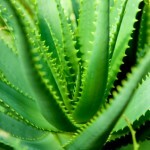 In addition to the previously mentioned aloe vera products, the plant is also providing natural materials for other aloe vera hygiene items, including toothpaste. The main components of aloe vera are vitamins and minerals and any good hygiene routine should be filled with products that contain these necessary basics. There are multiple reasons behind this, perhaps most important is that getting clean can, and should, also be coupled with improving one’s health. Although many people fail to recognize a daily skin or hair routine as a part of their health, taking good care of your hair and skin leads to a happier existence. No one wants to have a face full of wrinkles or hair that is badly damaged and perhaps even falling out. The natural hygiene properties found within aloe vera are able to combat the signs of aging while also ensuring that the user becomes clean and refreshed. 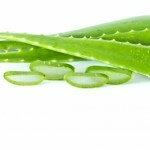 Another usage for aloe vera that is gaining in popularity is aloe vera deodorant for natural hygiene. Unlike typical deodorant, aloe vera not only allows you to smell better all day long but it is also made without any aluminum. Studies have linked the usage of antiperspirants made with aluminum with a higher risk of contracting cancer. Due to concerns like these, the aloe vera deodorant provides piece of mind and a potentially much larger health benefit than can be seen on the label. Aloe vera shaving cream has also become a popular choice for natural hygiene. Due to its natural soothing ingredients, it is able to immediately go to work on any cuts that may occur during the shaving process. This allows for a virtually pain free shave, every time, regardless of any miscues. Although there’s no doubting the rewards you’re likely to receive from employing aloe vera into your natural hygiene routine, be sure to consult a physician before embarking on a long-term treatment plan.